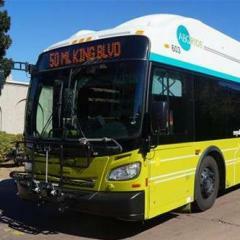 JACKSONVILLE, Fla. – The Jacksonville Transit Authority received a grant to fund JTA's Bus Rapid Transit system. The Small Starts Capital Investment Grants from the Federal Transit Administration has awarded grants totaling $38 million, according to a JTA press release. http://futureplans.jtafla.com/Pages/default.aspx' rel="external nofollow"> . I don't know much about the Cummins VTB-903 engine. It seems that there also existed a VT-903. I have only seen the VTB-903 be used in Flyer D900 buses. Does anyone have more info?